Flotation is becoming more and more appreciatedand, thanks to the FLN saturation and dosage unit made by Della Toffola, it has recently seen increasing widespread use in all wine cellars. 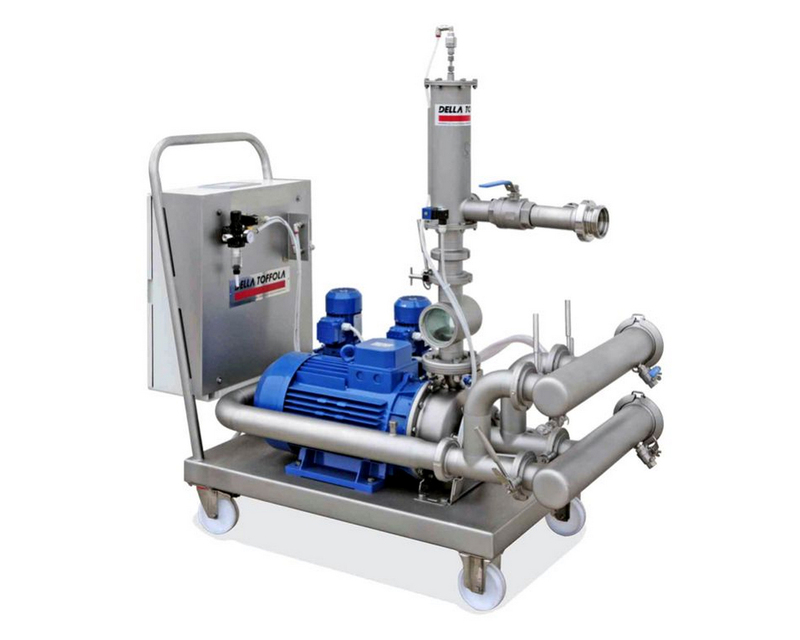 This packaged saturation and dosage unit is mounted on wheels, on a stainless steel base and complete with saturated, peristaltic dosage pumps, electric control board and prefilter. The dosage of the adjuvants is fully automated. A laboratory saturator can also be provided as anoptional accessory, with a capacity of approximately 2.5 L, for assessing the quantity of adjuvant to add to the grape must for flotation.